The Members’ Update, or e-News, contains important news and updates on ACC events, publications, and policy issues. The e-News is sent out eight times per year and is delivered only to ACC Members. The EPA is still accepting public comment on moves to extend the Clean Air Act to include regulation of greenhouse gas emissions (GHG). Click here to review a just released NMA ACT Alert that rightly describes the potential outcomes of these proposed rules as having potentially "devastating effects througout the entire U.S. economy." Through the same page, you can also send comments to EPA Administrator, Stephen Johnson, requesting that the management of this nation’s GHGs be left to our elected officials. Comments will only be accepted to November 28th, therefore, persons wishing to take this opportunity to comment on the rulemaking must do so immediately. Click here to access the NMA ACT Alert and comment submission form. This Popular Mechanics article describes the Chrysler company’s plans to have at least three models of EV (electric vehicle) in production and for sale by 2010. 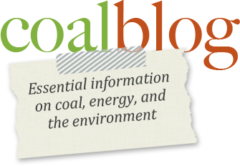 According to this Wonk Room (Think Progress) blog posting, Senator and Democratic Vice Presidential candidate, Joe Biden, stated — at a September 17, 2008 campaign stop — that the Obama campaign was "not supporting clean coal." That comment came when Biden answered a question from an environmental activist in the crowd about energy options for the country. In response, he clearly stated his strong support of renewable energy technologies like solar and wind and then moved on to attack coal as "dirty" and claimed it was "causing people to die." He made it abundantly clear that he was "not supporting clean coal."